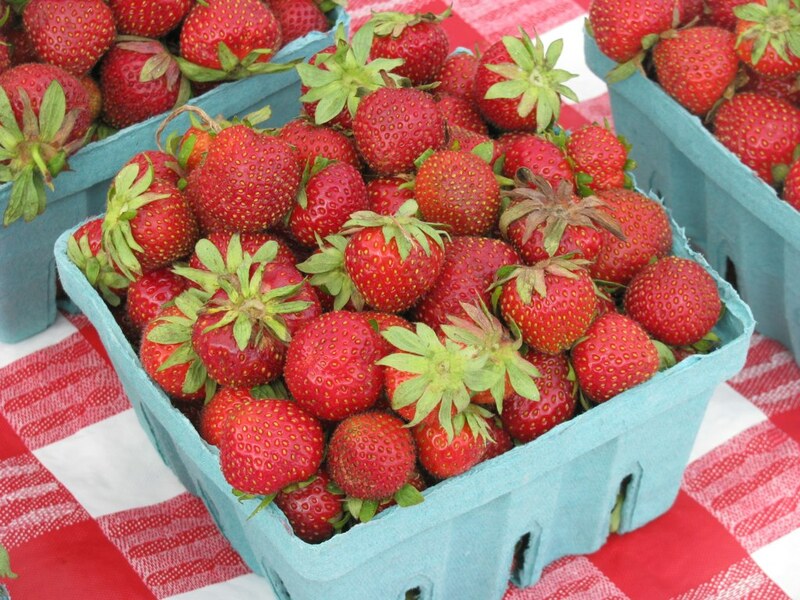 As you might remember if you read this blog with regularity, I picked ten pounds of strawberries over the weekend. This left me with plenty to jam. Plenty. Especially since I’m (gasp!) kind of a novice canner. 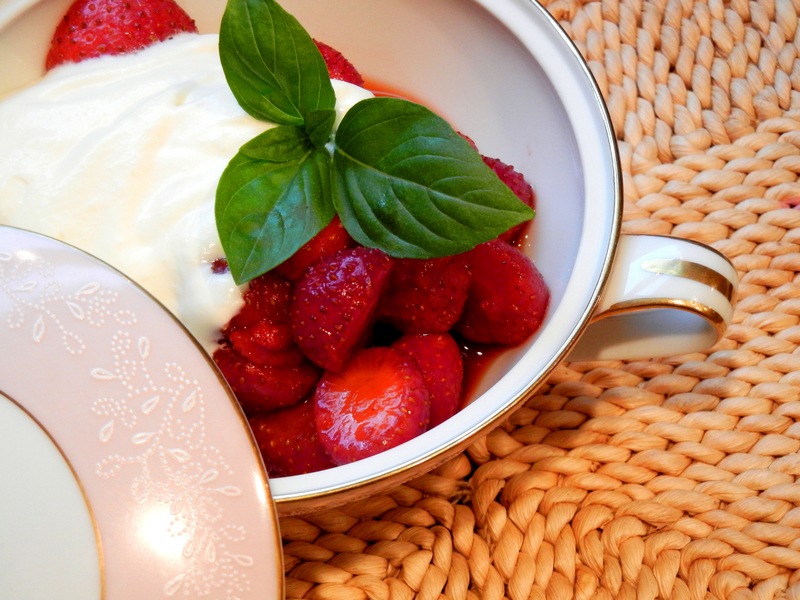 Between picking and managing a boisterous Cherub, I chatted with a very sweet friend, Jenn (editor of the tremendous Greener Grocer newsletter) and she told me she had recently made some great strawberry balsamic jam. Well, that’s right up my alley. She kindly forwarded me the recipe. 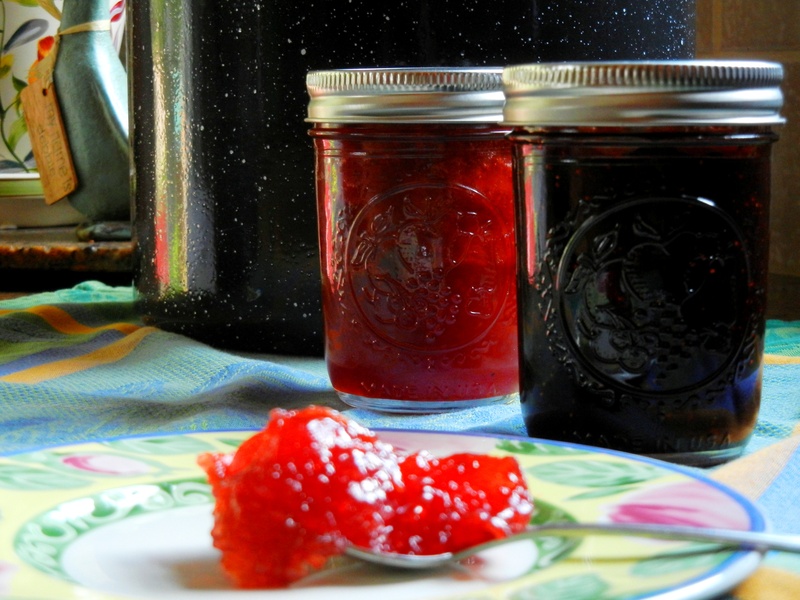 I decided I’d do that (a recipe that is pectin-free – Demeter is convinced I don’t need it) and a strawberry rhubarb jam using pectin (I’ve been told by Rachel at Hounds in the Kitchen that Pomona’s is the best kind to use). Mama said there’d be days like this. And when there are, you might consider adding a bit of lemon balm to your evening cocktail. It’s been used since the middle ages to reduce stress and anxiety, and promote sleep. Plus with a lovely lemony scent, and pretty toothed leaves, it makes a gorgeous garnish. Sometimes, I’m all about the pretty. 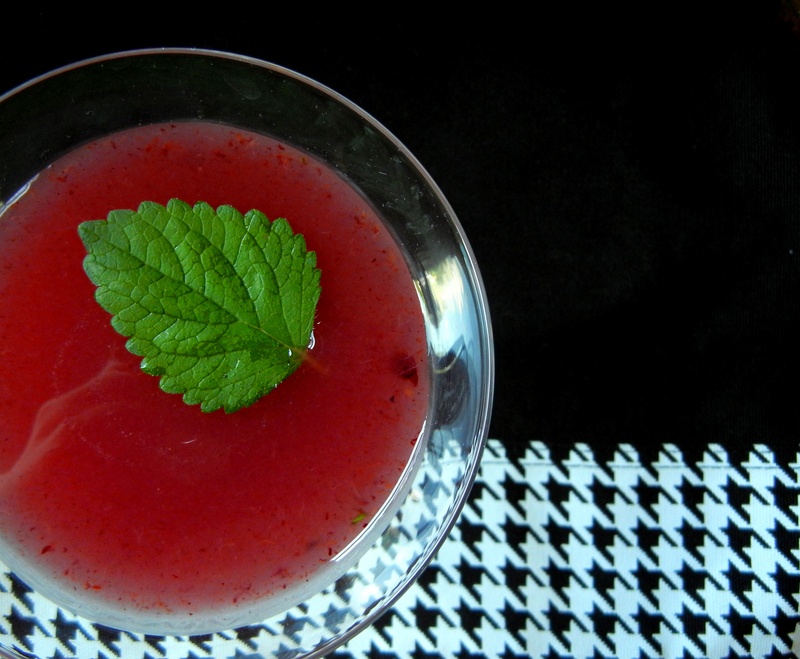 This evening’s local cocktail was a sweet combination of the juneberries (a.k.a, sugarplums) from our generous next door neighbor muddled with the lemon balm that so generously reseeded itself along the patio edges. After a tough day (read: extra loud, bossy Cherub), this is exactly the cocktail I want in my hand. It is a great pleasure to identify edible plants, trees and flowers to include in my culinary endeavors. Most recently I rang my neighbor’s doorbell to ask if he wouldn’t mind if I picked a few bowls of berries from his Juneberry tree (a.k.a., saskatoon, shadbush, sugar plum, service berry, et al) in return for some baked goods and perhaps a cocktail, some jam and maybe some ice cream, or a cobbler. The possibilities are endless. He didn’t say no. 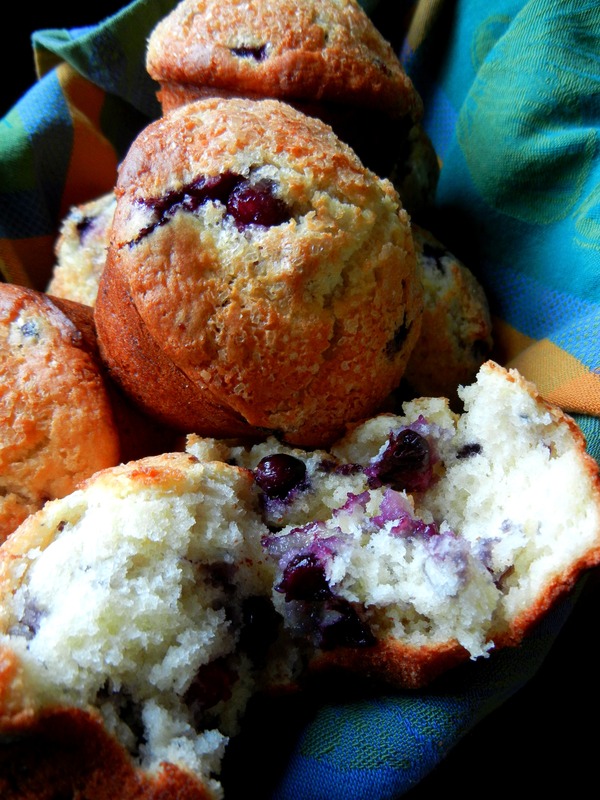 This recipe is not for a sugary sweet cupcake that masquerades as a muffin. 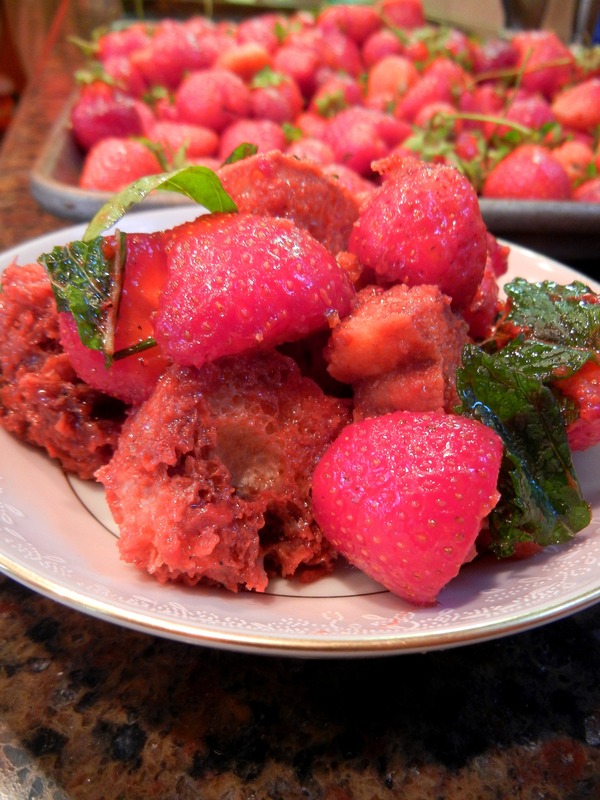 No, these are delicate-crumbed cakes – almost savory – plump with jammy berries and a whisper of almond, echoing the notes of the berries’ seeds. Lately I’ve been enjoying the idea of meals with lots of little bites. Doesn’t matter the country or the culture. Just about everybody has the concept. Sunday, with the addition of some sage flower sangria (the sage flower syrup was from my friend Kate) we had a lovely meal of Spanish tapas. My favorite bite was this almond toast from Steve Parle, whom I stumbled across in his terrific writings for The Telegraph. I really love his aesthetic. He has the dream job of researching and uncovering truly local foods from around the world. And honestly, if I could do something everyday, it would be to travel everywhere and find out how people are cooking in their homes in all corners of the world. I am inspired. 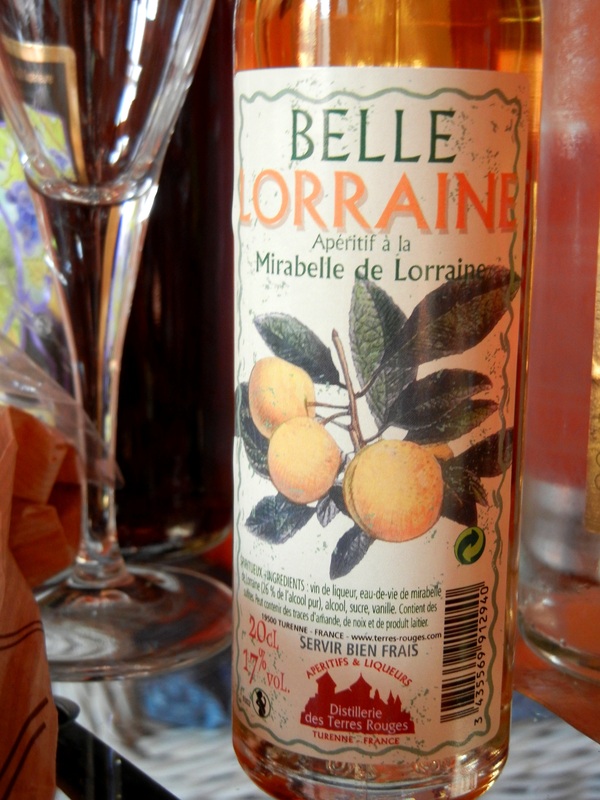 It’s the Belle Lorraine of Alsace, the liquor distilled from the yellow Mirabelles that are local to Nancy and Lorraine. It’s the puffy tacos found only in San Antonio, Texas. Or it’s takoyaki from Japan that is now found in a little stand on the streets of Columbus, Ohio. Or Korean bibimbap. My plate is eternally full. Everywhere, each day, cooks – especially home ones – are transforming local ingredients and family recipes into moments that encourage everyone to slow down, savor and remember. 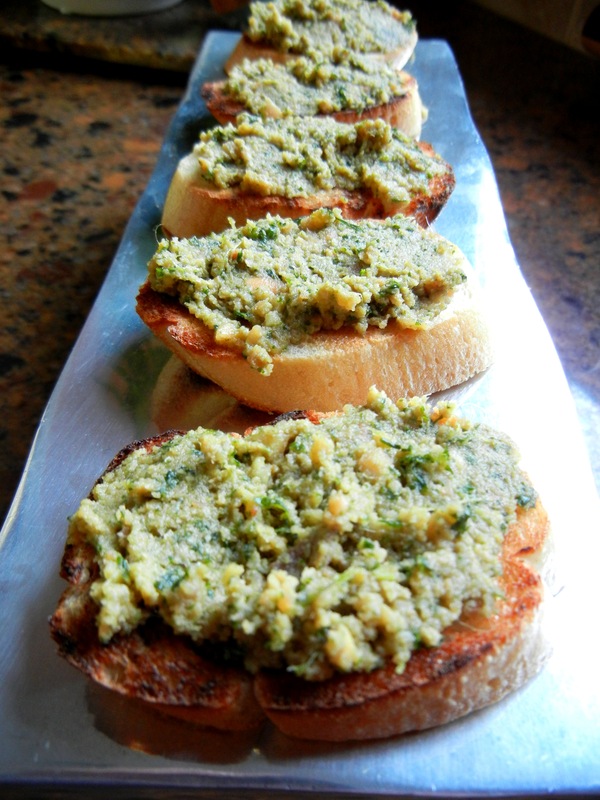 This little two bite wonder is a symphony of flavor: smoke from the grilled bread, citrus, fresh mint, rich Marcona almonds and perfect umami from anchovies. It’s perfect paired with that sangria and encourages you to do just what you’d love to do: relax. Playlist included Lover’s Carvings by Bibio.